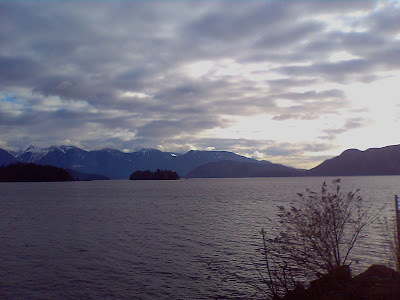 Port Alberni, B.C. 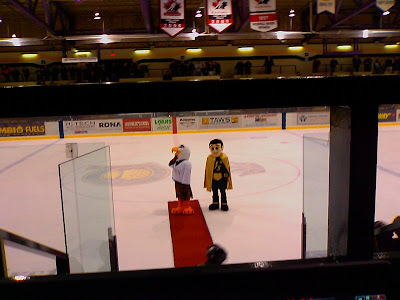 - Hammer's Bulldog Blog: Kings top Dogs 3-2, Dogs visit Eagles, pictures from the road. 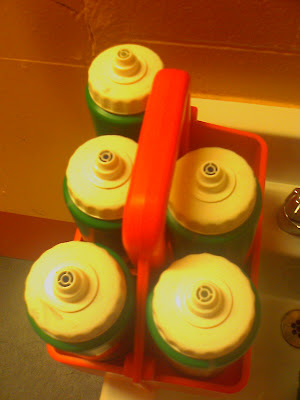 Kings top Dogs 3-2, Dogs visit Eagles, pictures from the road. 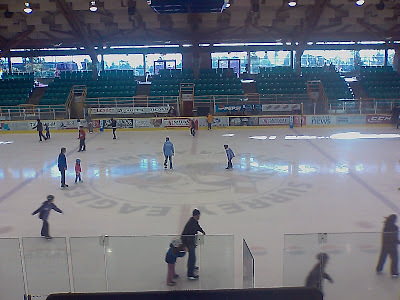 The view out of the booth at the South Surrey Arena and it's International-sized Ice surface. We've made it, several hours early to the South Surrey Arena. A perfect chance to get some blogging done! A tough one for the Dogs last night as they dropped a 3-2 decision in Powell River. Big credit to the Dogs for bouncing back after the Kings took a 3-1 lead late to make it 3-2. Sadly, the comeback fell short. Today - It's the Surrey Eagles on their international ice here at South Surrey Arena. 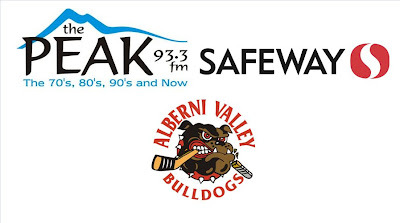 Catch the pregame show on Port Alberni Safeway Bulldogs Hockey at 3:15 with the play-by-play at 3:30. Today's first intermission guest is Brian Kang. My second intermission guest is former Bulldog Jordan Kremyr, now attending Providence. 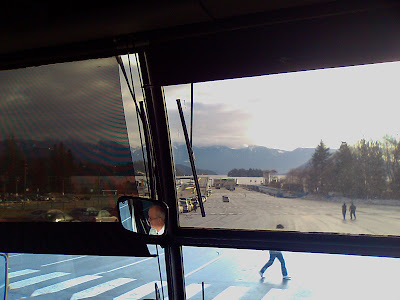 Alright some pics now from the road! 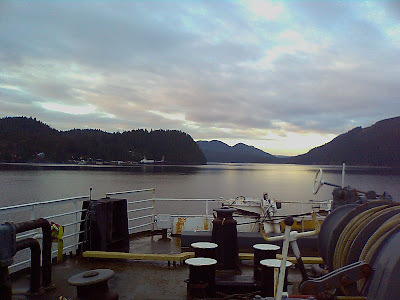 The end of Ferry #1 Saltery Bay - Gibsons I believe? I was sleeping most of the time! The laugh of the nite in Powell River last night. Super Heroes of a different kind.... the "Super Savers" from Coast Capital. 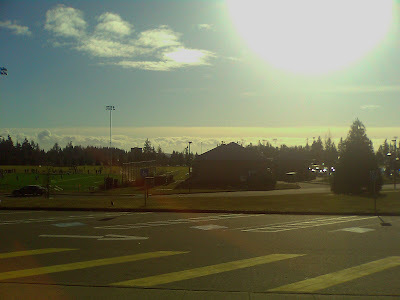 The view outside the rink in Surrey. Reminds me a bit of Port Alberni, with all the recreation surrounding the arena. Nice day here! My new job....We need you back and miss you Amos! 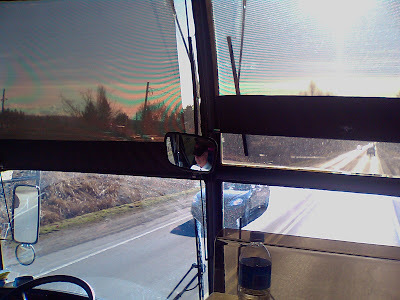 In the mirror - the face of the man who's feet get us to and fro safely - Bulldogs bussie Ron Sandberg. 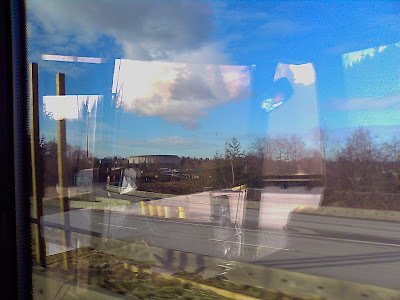 Pacific Coliseum, home of the WHL's Giants, former home of the NHL's Canucks. Beauty barn. 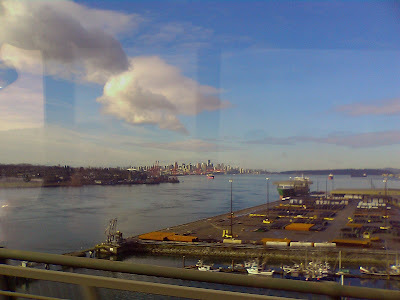 Downtown Van City on a nice day here. Thanks for the "on the road" updates, they are very much appreciated... and so are the pictures. Good Luck Bulldogs. Superstar Fan - Thanks all the same to you for letting me know you appreciate the updates, it's great motivation for me to keep at it! Can you post a link for the Brian Kang interview? Thanks!